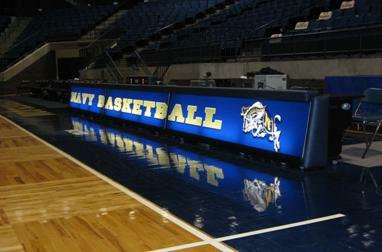 Allied Scoring Tables, Inc. has created a state of the art, innovative, high quality angled front scoring table. 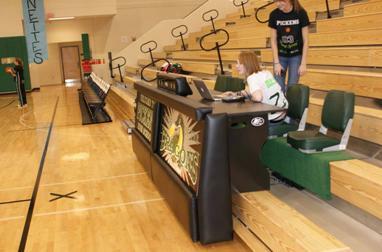 Our scorer table is designed with elegance, quality and safety in mind. 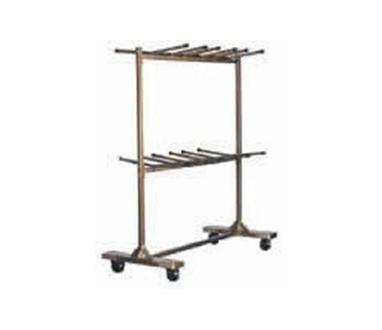 Our score table offers ease of handling, storage and setup. Our score tables are backed up by our 5-year workmanship warranty and customer support. Welcome To Allied Scoring Tables, Inc.
Allied Scoring Tables, Inc. is the premier manufacturer of high quality scoring tables for athletic professionals, college, high school, middle school, elementary schools, or any organization that uses an indoor athletic events for basketball, wrestling, and volleyball sporting events. 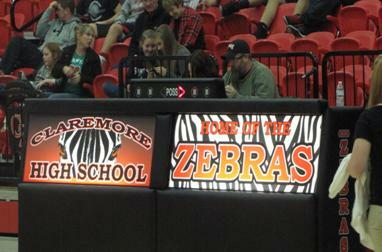 The customizable score tables are perfect for scorers of basketball, volleyball, and wrestling events. 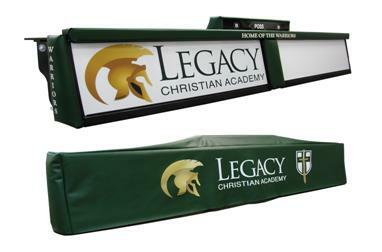 Each score table is built specifically with your school colors or gymnasium dècor, complete with back lit panels to promote your team. When the Ford Center in Evansville, IN was being conceptualized, Allied Scoring Tables, Inc. was contacted by TS Sports out of Fort Worth, TX to become an integral part of the build out. Our LED scoring tables are showcased throughout the basketball season during the University of Evansville Acer's men's and women's home games at the Ford Center. If you happen to visit The Field House USA in Frisco, Texas, Allied Scoring Tables, Inc. worked with Academic Specialties Texas, Inc. to build 12 scorer's tables and provide the chairs for the basketball and volleyball multi-plex gymnasium for the Fieldhouse USA. 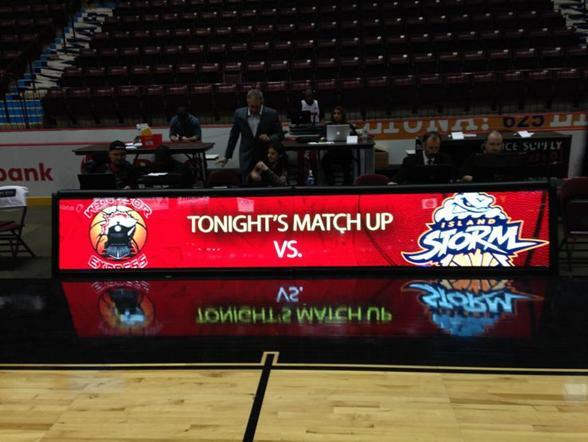 We have had the privilege of collaborating with a video rental company to build twenty-two custom LED scorer's tables for the 2012 and 2013 March Madness play offs. Since 2008, our 12' Freestanding Scorer's Table has traveled across the country with Shoot-A-Way for their numerous annual events. Allied Scoring Tables, Inc. is a distributor of athletic chairs offering the complete line of Clarin® Seating Products by Hussey. 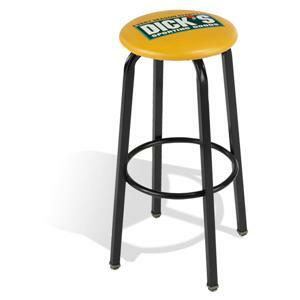 Check out the customizable chairs for your basketball, wrestling, volleyball, or any indoor athletic sporting event! 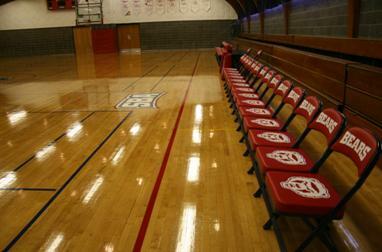 Boxx Seats are the logo folding chairs chosen by the leading pro teams, universities, and high schools. 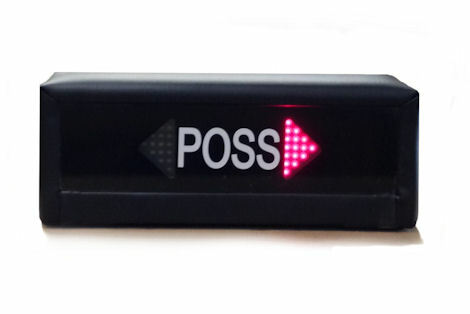 Check our site for a better look at our Products. To receive a quote please send us a Quote Request. 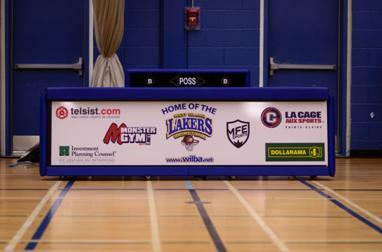 Allied Scoring Tables, Inc. provides high quality, customizable scoring tables for any indoor athletic event.